Tension continues to escalate in the East Sea as China maintains the presence of a large number of ships around the drilling rig Haiyang Shiyou-981, according to the Viet Nam Fisheries Surveillance Department. As many as 39 coast guard vessels, 14 cargo ships, 20 tugboats and six warships were defending the rig yesterday, which has been illegally stationed in Viet Nam's waters since the beginning of May. Chinese vessels surround the rig on all sides, aggressively ramming and firing water cannons at Vietnamese vessels to keep them nine to 11 nautical miles from it, the department said. Meanwhile, about 35 Chinese fishing vessels, with the support of coastguard ships, violently rammed Vietnamese fishing boats operating in their traditional fishing grounds about 30 to 40 nautical miles from the rig. According to eyewitnesses, the Chinese attempted to present themselves as victims by sailing past Vietnamese fishing boats and then suddenly reversing into them so that it would look like the Chinese ships were rammed. The department said Vietnamese fishing boats have persisted in using their fishing grounds, while coastguard and fisheries surveillance authorities continued asking China to remove the rig from Viet Nam's waters. Early in May, China illegally dispatched the rig as well as a large fleet of armed vessels, military ships and aircraft to Viet Nam's waters and positioned it at 15 degrees 29 minutes 58 seconds north latitude and 111 degrees 12 minutes 06 seconds east longitude, 80 miles inside Viet Nam's continental shelf and exclusive economic zone. 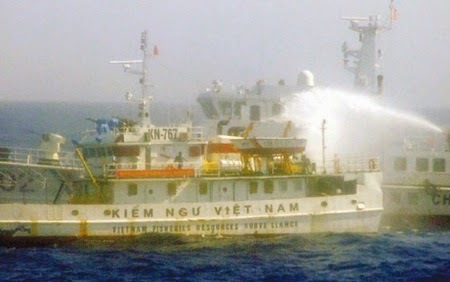 In May alone, 19 fisheries surveillance ships and five coast guard vessels belonging to Viet Nam were seriously damaged after being rammed and fired at with water cannons. On May 26, Chinese ships sank a fishing boat belonging to Da Nang fishermen operating in their traditional fishing grounds near Viet Nam's Hoang Sa (Paracel) archipelago. 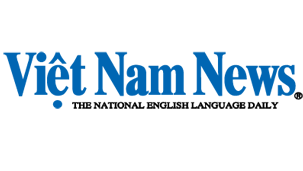 The International Association of Democratic Lawyers (IADL) issued a statement on the escalating violence in the East Sea at a press conference in Ha Noi yesterday. The statement pointed out that, despite Viet Nam's protests, China dispatched more than 80 vessels and aircraft, including military ships, to the area. It added that the situation escalated as Chinese vessels rammed and fired water cannons at several Vietnamese coast guard and fisheries surveillance ships, inflicting damage and casualties. IADL said it had been informed that there had been several incidents directed against Vietnamese fishing boats, damaging some, injuring fishermen and sinking a Vietnamese fishing vessel. 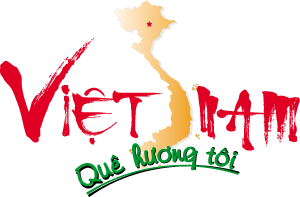 After considering these facts, the statement said the association had decided to send a letter to Chinese authorities asking all sides to solve disputes peacefully and strictly comply with the 1982 United Nations Convention on the Law of the Sea, to which China and Viet Nam are signatories. IADL has demanded that China clarify the legal basis for placing the rig in Vietnamese waters, deploying vessels and aircraft to the vicinity of the rig. It has also demanded that China explain its provocative acts, such as ramming and firing water cannons at Vietnamese ships. It calls upon China, as a member of the United Nations and a permanent member of the UN Security Council, to completely respect and observe the UN charters and behave in line with its status as a major country in maintaining regional and international peace, stability and security. In the letter, the organisation also requested China to respect international law, restrain from actions that may escalate tensions in the region and jeopardise security and safety in the East Sea. Yesterday, Deputy Prime Minister Nguyen Xuan Phuc also discussed the issue with Jitendra Sharma, President Emeritus of IADL. Sharma said the association supported Viet Nam taking measures to deal with the East Sea issue in line with international laws.